My friend Sandra is an incredible hostess! She is a professional floral designer but in reality, she is an artist. 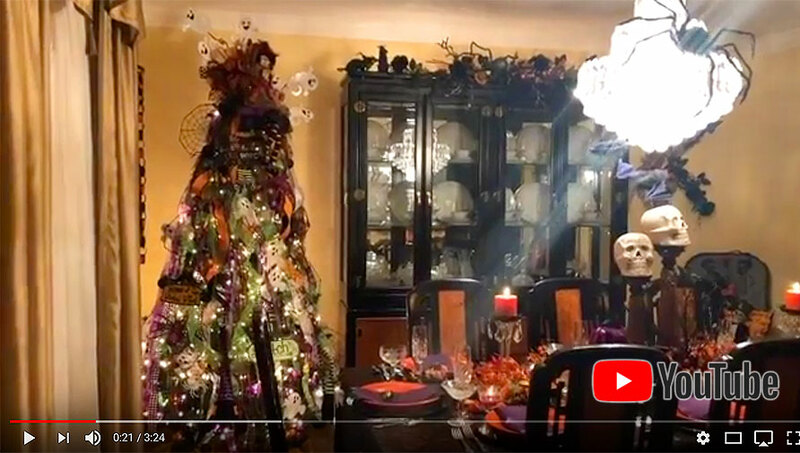 Here is link to a video where we showcase her beautiful home decorated for Halloween… yes, that is a Halloween tree in the photo and she has FOUR of them! Each year, I can’t wait to see what she creates for Halloween. It is truly spectacular. Click on the above image to go directly to the video and view her home. I also had to post one of her favorite Halloween pumpkins. Sandra calls herself the Queen of Halloween and she LOVES bling!! 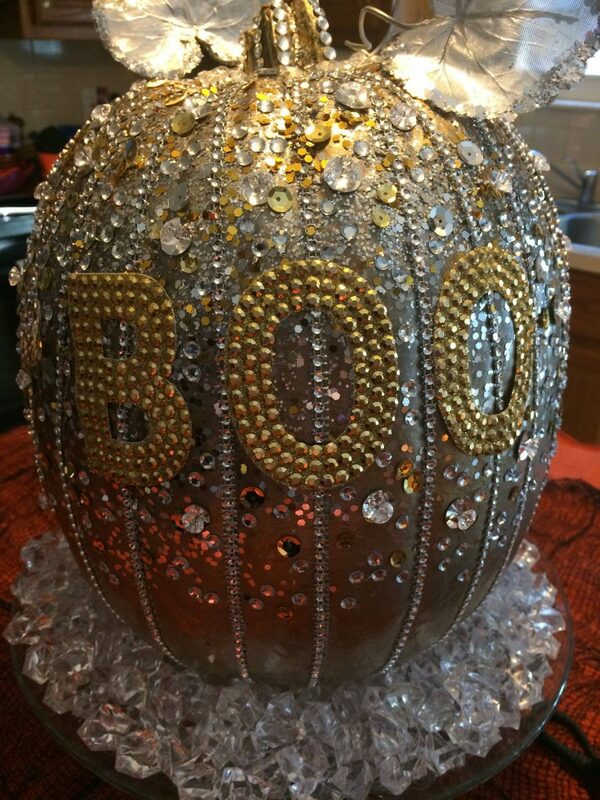 This pumpkin, encrusted with rhinestones, gold sequins, and a myriad of other stones, is one of her favorites. She posts it every year on her Facebook feed. This entry was posted on Sunday, October 28th, 2018 at 5:13 pm	and is filed under 31 Days of Halloween, Crafts, Fall Season, Halloween, Interior Design, Petals Galore.